The ski season is about to fire up and that can only mean ONE thing! BINGO IS BACK! This year will be hosted by the one and only Goffles Waffles and a few special guests along the way. The first night is Tuesday November 27th at 9pm and every Tuesday after that! 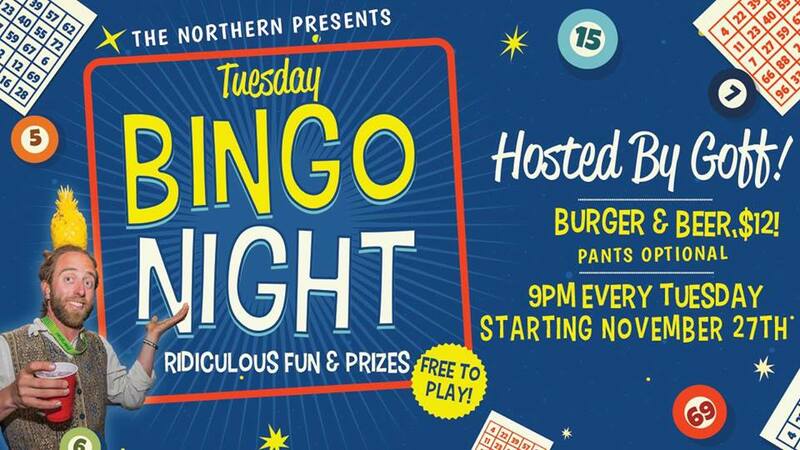 Bingo is free to play and Burger & Beer is only $12!